As Indian B-schools aspire to become truly global in various aspects – student intake, quality of education, placements and participation in international rankings – more and more of them are looking for international accreditation. Accreditation is a process of validation in which colleges, universities and other institutions of higher learning are evaluated. The standards for accreditation are set by a peer review board whose members include faculty from various accredited colleges and universities. As per business dictionary, accreditation is defined as “certification of competence in a specified subject or areas of expertise, and of the integrity, awarded by a duly recognised and respected accrediting organisation”. Merely an approval by AICTE (All India Council for Technical Education) or affiliation to a university/AIU (Association of Indian Universities) no longer establishes the quality of a business management program. Even an accreditation by NAAC (National Assessment and Accreditation Council) no longer enhances reputation of these programs. Among the 15,000-plus B-schools in the world, roughly 4,000 are in India. 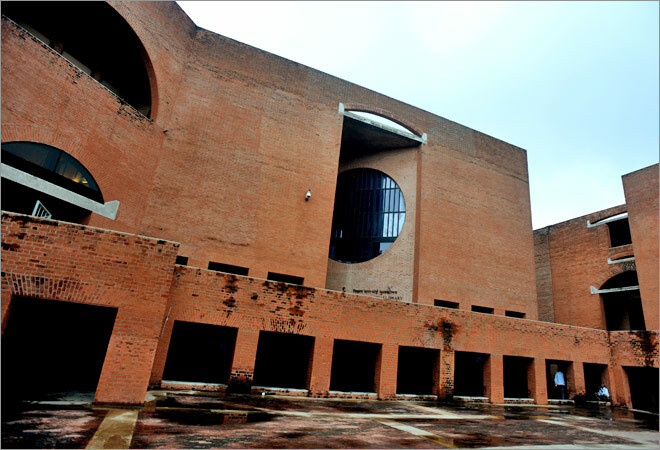 However, less than 0.25 per cent of Indian B-schools have received any of prestigious international accreditation. While international accreditations are a costly affair, both in terms of financial investment and resource mobilisation in addition to tedious and time-taking process; they certainly offer a whole lot of tangible and intangible benefits – both in short and long terms. These internationally accredited institutions become more attractive to global students, faculty and recruiters alike and stand with higher ability to create a price differentiation (fees and admission brochure). On the other hand, it also helps in creating diversity of students as well as faculty. Such international accreditation gives an advantage of international recognition, status and exposure. As these accreditations are based on assessment and verification of several parameters, including rigour in admission process, learning expectations and assurance, faculty quality, course curriculum, infrastructure, international interface, ethics, diversity, innovation, placements, among others, it serves the B-schools by informing them of their strengths and weaknesses vis-a-vis their global peers. While each of these use different systems on which to base their assessment of schools, all are highly evolved and provide high benchmarks for acceptance. The US-based Association to Advance Collegiate Schools of Business (AACSB) was established in 1916 as a membership organisation for business schools. In 1919, the first AACSB Accreditation Standards were adopted with the primary objective of improving collegiate business education. Today, the AACSB Accreditation Standards are used as the basis to evaluate a business school’s mission, operations, faculty qualifications and contributions, programs, and other critical areas. AACSB accreditation ensures students and parents that the business school is providing top-quality education. It also ensures employers that AACSB-accredited business school graduates are ready to perform from day one. Additionally, AACSB accreditation provides many benefits to the faculty and staff at its accredited schools by attracting higher quality students, providing greater research opportunities, and allowing for global recognition. AACSB’s accreditation standards drive impact, innovation and engagement with students, employers, and various stakeholders. The standards are rigorous, relevant, and benchmarks of quality. Institutions that hold AACSB accreditation are committed to high quality and continuous improvement – a powerful differentiator worldwide. Here is a word of caution, especially for aspiring students – there are several B-schools who are members of AACSB, but have not received accreditation. The Association of MBAs (AMBA) is one of the major accreditation bodies for postgraduate business education and was established in 1967. The London-based group positions itself as “the world’s impartial authority on postgraduate management education”. The AMBA system judges the quality of a business school’s strategy, mission, faculty, students, curriculum, and assessment. For example, to be accepted as an AMBA-accredited school, students admitted to a school’s program must have at least three years of work experience and three quarters of a business school’s faculty must have a Masters or Doctoral degree in a relevant discipline. It differs from AACSB and EQUIS as it accredits a school’s portfolio of postgraduate business programs rather than the entire business school. To date AMBA has accredited programmes at 210 business schools in over 70 countries. Its process of accrediting an MBA program includes reviewing compliance with over 100 criteria, most of them qualitative rather than quantitative. The criteria fall into seven dimensions: history and development of the institution; facilities and libraries; teaching faculty, teaching standards and research track record; program administration, career and alumni services; student admission standards, diversity and cohort size; curriculum content, program mode and duration; and learning outcomes. – An MBA program should have a cohort size of at least 20 students. EQUIS (managed by the Brussels-based European Foundation for Management Development – EFMD) is one of the major international systems of quality assessment, improvement and accreditation for business schools that provide courses in management and business administration. EQUIS evaluates a business school’s governance, strategy, programs, students, faculty, research and development, executive education, contribution to the community, resources and administration, internationalisation, and corporate connections. The fundamental objective of EQUIS is to raise the standard of management education worldwide. How does EQUIS assess schools? EQUIS looks for a balance between high academic quality and the professional relevance provided by close interaction with the corporate world. A strong interface with the world of business is, therefore, as much a requirement as a strong research potential. EQUIS attaches particular importance to the creation of an effective learning environment that favours the development of students’s managerial and entrepreneurial skills, and fosters their sense of global responsibility. It also looks for innovation in all respects, including programme design and pedagogy. In addition to these truly international accreditation, The Association of Management Development Institutions in South Asia (AMDISA), based out of India (Hyderabad) provides SAQS (South Asian Quality Assurance System) accreditation, which involves mentoring, self-assessment documentation, peer review and apex committee evaluation. In 1989, several B-schools found that the AACSB-accredited business schools had an emphasis on research, while most business schools had emphasis on teaching. Based on the analysis of this gap, ACBSP (Accreditation Council for Business Schools and Programs) was established to accredit business schools with emphasis on teaching and learning. Currently ACBSP accredits nearly 8,000 programs at over 1,200 campuses across the world. However, ACBSP accreditation is widely seen as less stringent that of other accreditation bodies such as AACSB, EQUIS and AMBA. Importantly, only doctorate degrees in some of these institutions have received ACBSP recognition. The validity of such accreditation is also important as the accreditation can be withdrawn if the required criteria are not maintained by the institute. Considering the accreditation process, quality standards, eligibility process, accreditation criteria and scope of accreditation, the true gem in an institutions crown is an accreditation by EQUIS, AMBA or AACSB. This also explains why BT-MDRA ranking methodology gives significant weightage to these three international accreditations in its annual ranking of B-schools.